airtel, free internet tricks for android uc browser or something free for airtel so just in right place to find best free internet or recharge trick. 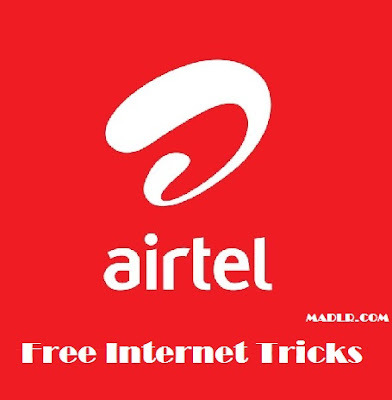 Here i write best working airtel free internet hacks. If you have any other trick so you can any time comment for problems. These trick are verified by me in GUJARAT, so if you are out of Gujarat and these tricks not working on your state please comment us we will help you to solve. Vodafone & Idea Unlimited 3G,4G Internet Trick Free Recharge 2016. Follow these method for getting free internet. Method 1: Using Droid VPN. DroidVPN is one of the best vpn android application. In this method i write how to get free internet using DroidVPN apk. So guys let's get started. Daily Limit is as per droidVPN is 250MB. Working in most of states. Airtel 2G / 3G / 4G SIM for high speed internet. In first step you need to download DroidVPN using this below links. After download then Install it on your android smartphone. Then open app and signup / create your new account. After signup Login with your id or password and remember it. After you successfully login click on SETTINGS button. After setting open click on CONNECTION PROTOCOL. After that it will show you some option in this click on HTTP HEADERS. Now it will show you a dialog box then click on ENABLE option. Then Copy below code and paste it on. After that click on ok and save it. After saving close app and re open it. Then click on CONNECT button. BINGO!!! you are connected now for free internet. If you are facing any problem on this method try second method. Main Balance & Data Balance should be 0. In first step you need to download Pshiphon App using Below links. After download the app install it on android smartphone. Then open app after that select XP-Genarator option from menu. Now it will show URL & HOST. Then select "Host" in Proxy type. After that click on Generate. Now save ite and close app and re open it. BINGO!! you are now connected to free internet in airtel.